LAS VEGAS, May 7, 2018 /PRNewswire/ -- Today, at HLTH 2018, Sensely announced a partnership agreement with NAS, a Third Party Administrator based in the United Arab Emirates. The companies will be working in close collaboration to deploy Sensely's virtual health assistant technology to the NAS member ecosystem as a means of boosting engagement and providing a more efficient communication channel. The agreement covers a three year period, and calls for Sensely's software development kit (SDK) to be utilized for the launch of unique patient navigation solutions across both mobile and web platforms to 1.2 million members. Locally appropriate avatars will be built for the Middle Eastern market, and content will available in both English and Arabic. The symptom check feature incorporates clinically-validated algorithms developed by Mayo Clinic, and directs the member to the most appropriate course of action based on the reported symptoms. By directing resource recommendations algorithmically, patient navigation tools deployed at scale can produce increased efficiencies in a safe, reliable, and secure manner. NAS plans to launch the platform to its customer base hat comes from more than 50 health insurance companies and self-funded insurance plans in the Arabian Gulf region. Joe Boulos, CEO of NAS, commented, "Given our heritage as a third-party administrator, we have a long history of incorporating best of breed technology to solve business challenges. We are particularly intrigued with Sensely's unique communication platform, which we feel blends the empathic warmth of a trained customer service professional with the clinical precision required in healthcare service navigation. The new member services platform will extend our ability to deliver what our insurance customers and members always ask for, which is an accurate and reassuring way of directing patients through their healthcare journey." "We're delighted to partner with such a forward-thinking organization," said Adam Odessky, CEO and Co-founder of Sensely. "We've seen how new digital channels can drive desired service outcomes across large populations, and we're excited about bringing these capabilities to the dynamic Middle East market. The TPA market provides a great value add for the next generation of self-insured employer benefits manager, who is increasingly under pressure to both control costs and provide a meaningful and competitive health benefits package." Sensely helps direct patients and health plan members to the healthcare resource they need, when they need it. Offering an avatar and chatbot-based platform, Sensely intelligently and safely connects patients with clinical advice and services. With offices in London and San Francisco, Sensely's global teams provide digital health solutions to insurance companies, pharmaceutical clients, and hospital systems worldwide. For more information, please visit www.sensely.com. 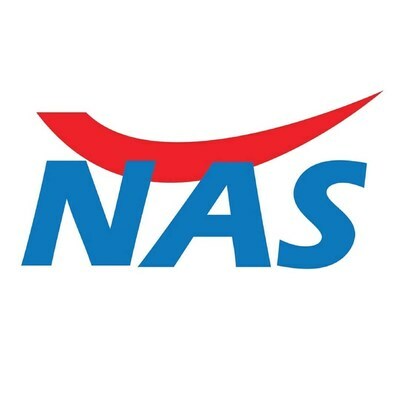 Established in 2002 in Abu Dhabi, NAS is a regional leader in the provision of third-party administrator services to health insurance companies in the Arabian Gulf (GCC) region. NAS provides its customers a comprehensive network of healthcare providers across the Middle East and India, as well as a complete suite of outsourcing and state-of-the art IT solutions in the field of healthcare benefits administration.